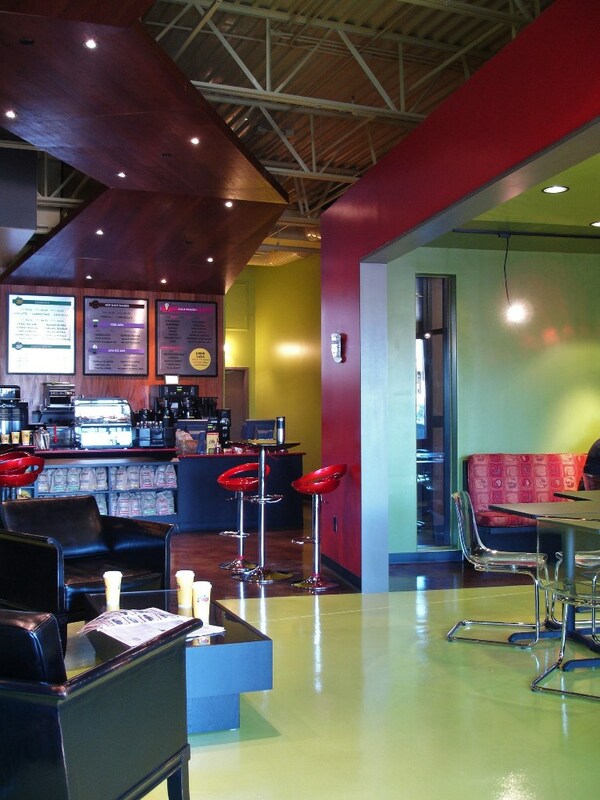 The client’s concept was to combine a children’s inside playground and a cafe in one exciting, vibrant atmosphere. The main challenge was to keep the spaces physically separate yet visually connected. Another challenge was to make this concept work by combining two separate tenant spaces of 3,000 square feet total, located in an existing strip-mall building, with a two foot change in floor level between the spaces. Customers enter though the cafe where they can order a coffee drink and a pastry. They then can choose from a variety of seating options, ranging from the more secluded and intimate to the more social. They can relax or use a computer station while the children located in the attached space remain invisible. However, if patrons bring their children, they can drop them off with the attendant at the passage to the Jump Room, and then relax with a beverage and a newspaper. 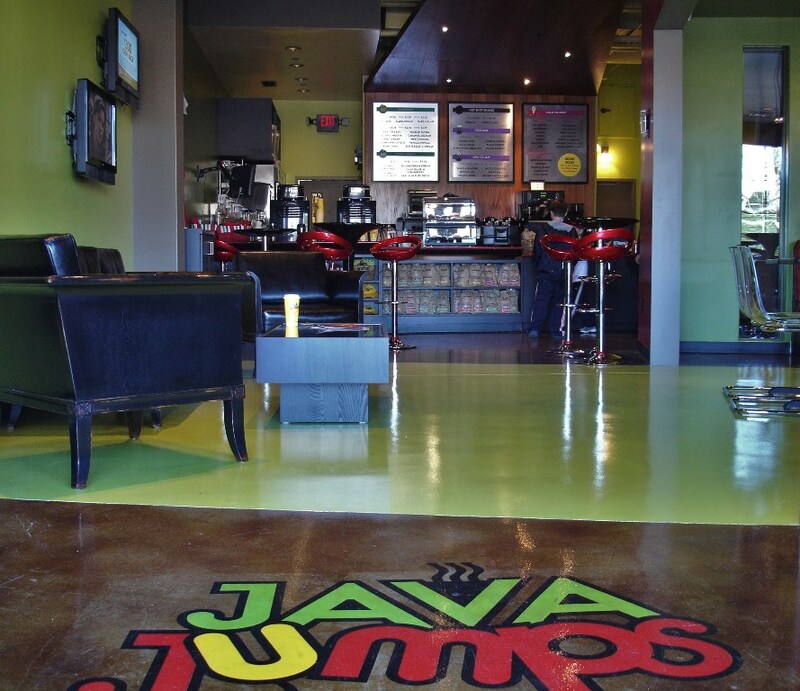 One of the most exciting and innovative features of Java Jumps is the way in which the visual connections are made. Patrons have the option of viewing their children directly through windows in the connecting wall, or through video monitors on the ever-changing virtual wall. The virtual wall will have monitors tuned in to the children in the Jump Room and, also, to outside programming. Another feature of the space is the Flex Room. 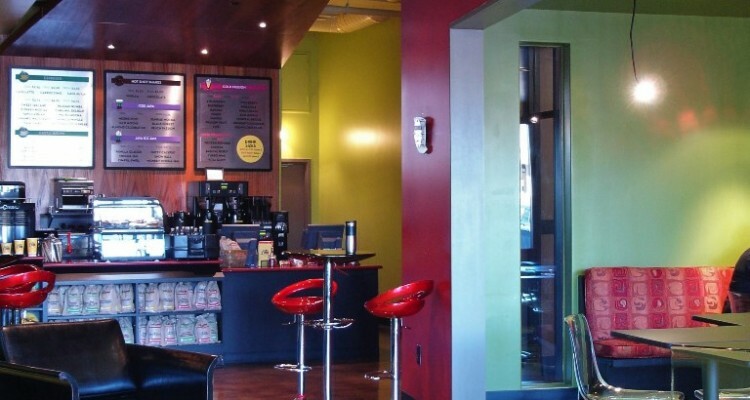 The Flex Room is located at the juncture between the Cafe and the Jump Room. It slices through the common wall and protrudes into the Jumps Space, allowing parents to feel as though they are inside the Jump Room, in a viewing platform, as they casually monitor the children through the window openings. 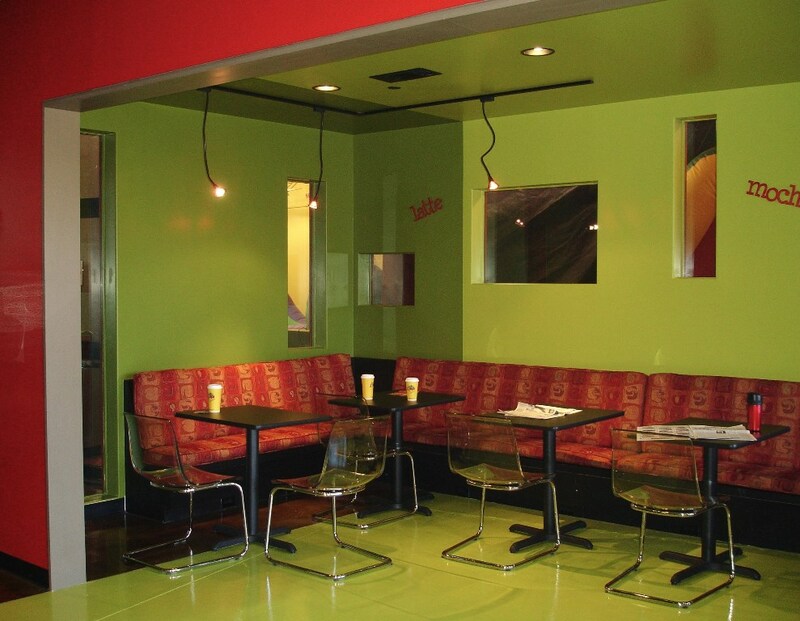 Throughout the week the Flex Room provides seating to the cafe proper. On weekends, however, the Flex Room is converted into an events room, as a series of sliding frosted glass panels provides privacy for a birthday event.